Shot Time is my first "native" iPhone App. It was created in Xcode on an Apple Mac computer, with the Official iOS SDK (Software Development Kit). The code in the App also marks my first use of the Objective-C programming language. All of my Previous Apps have been developed in Visual Studio, C++ and DragonFireSDK. From now onwards, I will use Objective-C. The app is a simple visit timing device for players of Pool (8 Ball). Programming wise, the app marks the end of a long journey of learning Objective-C to the point whereby I can now build full applications in Xcode. Objective-C is somewhat different to other C derived languages (C++, C#, Java etc), but it is great to now be finally understanding it, and developing using the MVC model. 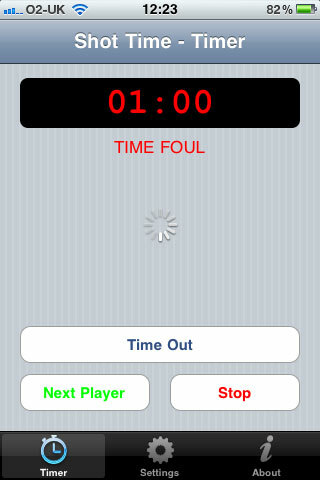 You can read more about Shot Time, in my iPhone Apps Portfolio. Alternatively, you can download it direct from iTunes: Shot Time for iPhone.